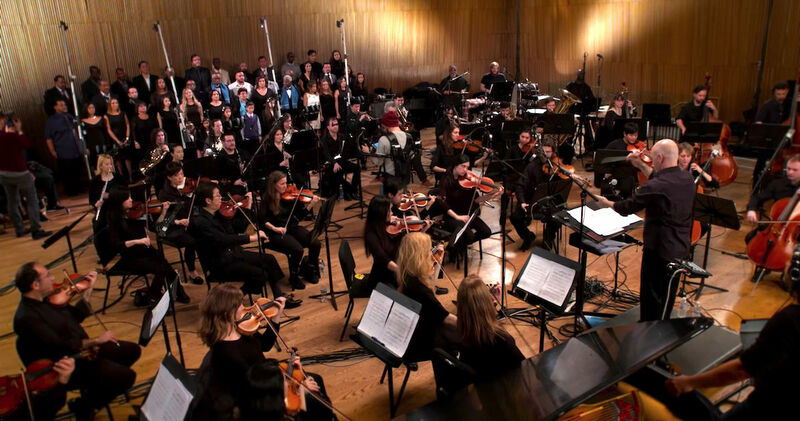 Over forty new recordings of the national anthem of Aruba, “Aruba Dushi Tera,” have been made in collaboration with the Philharmonic Orchestra in New York. The aim of the musical project was to hand over the new master tapes to Governor Fredis Refunjol. Forty Aruban singers joined the 60-piece Philharmonic Orchestra in the DiMenna Center for Classical Music in Manhattan. It was the first time that “Aruba Dushi Tera” was recorded with an orchestra since late 1975. In that year, the national anthem of Aruba (“Himno Nacional Di Aruba”) was recorded by a Venezuelan orchestra and an Aruban choir. On February 25, 1976, a government appointed commission unanimously recommended “Aruba Dushi Tera” as Aruba’s national anthem. On March 16, 1976, the Parliament of Aruba approved “Aruba Dushi Tera”. The official anthem was presented on March 18, 1976, in Wilhelmina Stadium, currently known as the Guillermo Prospero Trinidad Stadium. The new version of the anthem sounds impressive! The project cost around $ 100,000 and was not funded by the government but by private donations. The artists did not charge any money and shared hotel rooms. Only travel costs and hotel costs were reimbursed. “Ultimately, there will be forty versions, to commemorate the fortieth anniversary of the national anthem of Aruba. There will also be several separate versions with different musical instruments”, said Jonathan Vieira, who founded the initiative. Jonathan Vieira says he got inspired after speaking with the Governor. “Aruba Dushi Tera” was composed in 1952 by Juan Chabaya ‘Padu’ Lampe and Rufo Wever. It officially became the national anthem of Aruba forty years ago. To commemorate the anniversary of the national anthem of Aruba, forty Aruban vocalists recorded a performance. The full range of performances includes versions that are suitable for special occasions where a more subdued atmosphere is appropriate. Vieira has decided that, should the project generate any revenues, they will be donated to local sports institutions on the island. Previous Previous post: Aruba Jazz Festival 2016 – Tickets For Sale Now!